What happened behind the scenes of REMOVED? 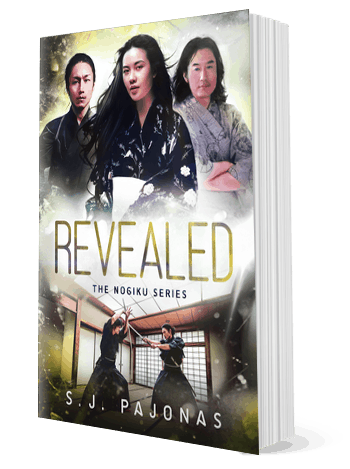 In this companion novel to the Nogiku Series, relive the events of REMOVED through Jiro and Mark’s eyes. 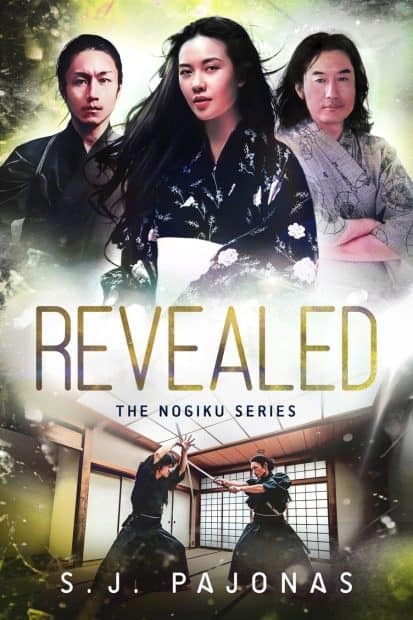 Note: This should be read after RECLAIMED, Book Four of The Nogiku Series. If you read the REVEALED short stories, Parts 1, 2, and 3 are the first 14 chapters of this book. All the rest (32 chapters total) is brand-new material. This novel is 80,000 words. “I’d love to see your other drawings. I mean, if you wanted to show them to me. 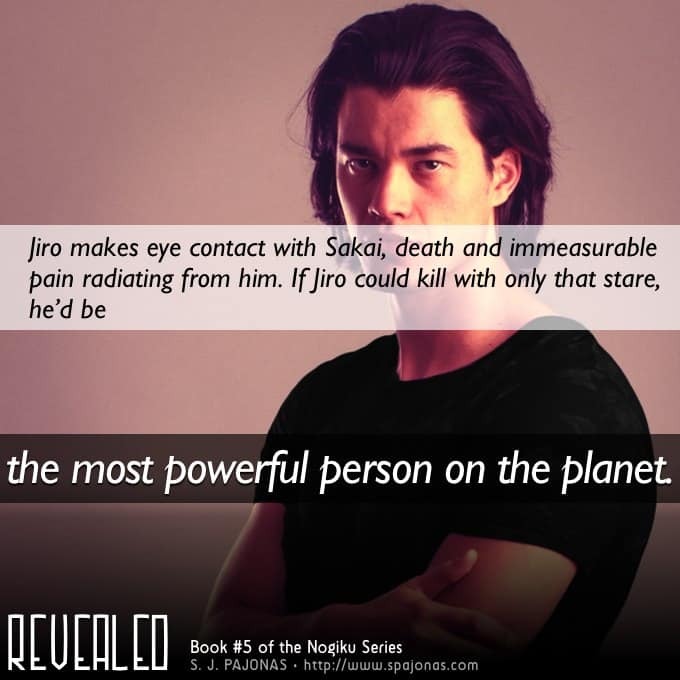 You don’t have to, of course.” Her soft stammering voice nearly broke him the other day and even though he said, “We’ll see,” he’s sure he would have grabbed his tablet right that moment and shown her everything if he hadn’t been so worried about Sakai. Jiro kicks off his shoes inside the door, grabs a bottle of sake from the fridge, and sits down on the couch. Hmmm. Which sketch should he send her first? He opens the folders from the last three years worth of sketches and immediately eliminates the portraits. He’s never drawn anyone he knows, never his mother, father, brother, family, or friends. But sometimes, when he’s out in the ward alone, he’ll sit and draw other people, men, women, and children. Sanaa wouldn’t know any of them, so best not to arouse her suspicion the portrait is of someone he was fond of. A still life would be perfect for her. About two years ago, Jiro attended a big music event at the main theater with Kentaro. It was mid-winter and the fans were on high that night because so many people were gathered in one spot. While he waited out front for Kentaro to show up, Jiro stood on the steps and watched the paper lanterns sway in the cool winter drafts, their silk cords twirling underneath. “Hello, brother.” Kentaro called him brother when they were out together alone. He’s an only child and always wanted a sibling like Jiro has Yoichi. Jiro sighs and stares out into space. Why did Kentaro have to come between him and Melanie? Why? Forget her. Forget him. Concentrate on Sanaa now. Despite the memory the sketch brings up, the lanterns are perfect for her. They’re very Japanese but singular and special, like her. She may have grown up in Ku 5, but her heart is Japanese at its core. She just needs the right person to show her the things she’s been missing. He attaches the sketch’s file to a mail message, addresses it to Sanaa, and only writes, “Lanterns for you.” Send. This is the first mail message he’s ever sent her. How is it that they’ve seen each other every day for the past five or six weeks and this is the first time he’s crossed this boundary? Somehow sending her mail her feels extremely personal though he exchanges mail with people all the time. He pours himself a drink, slams the sake back, and sets his cup down to stretch out his shoulders. Not working out in the dōjō today was a good idea. He hasn’t observed a day of rest from exercise in a long time. His mailbox pings and thinking it might be a reply from Sanaa, he pounces on his tablet.